A great big, "Thank you!" to all of the Big Rapids and West Michigan Gathering Warm quilters for all of the BEAUTIFUL and warm, handmade quilts and fun goodies that are shipped annually to the Rosebud Reservation to be distributed by Willy and Marsha Gilpin, Pine Ridge Reservation to be distributed by Barbara Dullknife and to Paula Horn for distribution on the Cheyenne River Reservation in South Dakota. 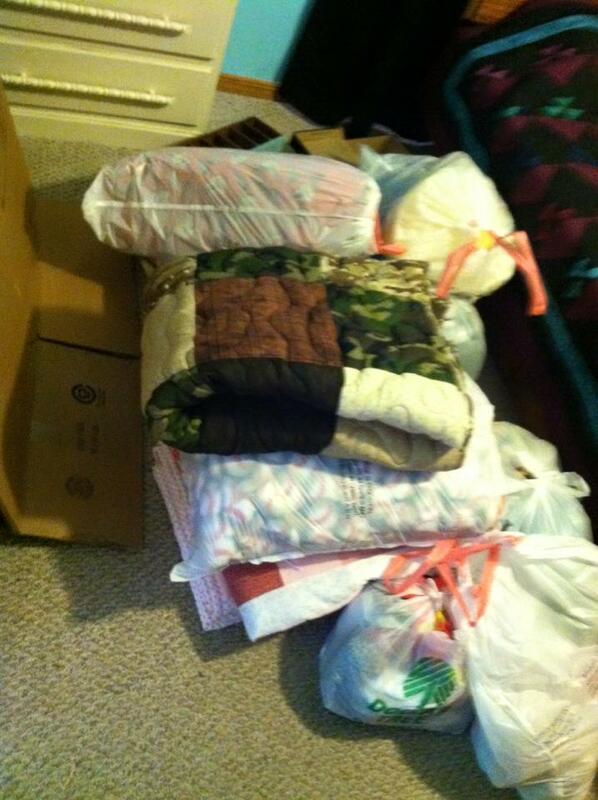 Your yearly donations of warm quilts, blankets, baby clothing, warm hats, mittens and so much more is deeply appreciated by everyone who receives them. Barbara Dullknife, Della Badwound and Cheryl Noisy Hawk presenting Brenda Bremer with a signed Eagle print by artist David Fix as a thank you on behalf of Gathering Thunder Foundation and the Gather Our Children Home safe house in Oglala, SD. Brenda and the quilters at Epiphany Lutheran Church in Alto MI have handcrafted well over 100 beautiful quilts that have been gifted to Native American youth and elders all across the United States! Thank you to Brenda Bremer and all of the incredibly generous quilters who have helped to keep countless youth and elders warm and feeling cared for.